A healthy animal is a productive animal. Farm Trader looks at how animal health plays a crucial role in every farm business. The modern dairy cow is an incredible animal and extremely effective at converting grass and other feed sources to milk. But just like top athletes, cows must be in great health to perform at their best. Most high-level sports coaches and support staff run regular tests to check their athletes are on track in the lead-up to important events. They put in place preventative health management programmes and strength and conditioning programmes because they know it’s far better to avoid injury or health issues than deal with their consequences during the season. Coaches also make sure they have people with the right skills to help sportspeople stay in top condition. They know that a well-conditioned, healthy athlete trains harder and is generally better for the team. Coaches also know that regardless of the care they receive, most athletes will become unwell or injured at some point – it’s inevitable. That’s why good coaches have processes in place to ensure their athletes get prompt treatment, so they can be up and running again as soon as possible. In many ways, the management of professional athletes is simply catching up to what top dairy farmers have been doing for years. High-performing farmers know that a healthy animal is a productive animal, so it’s good business to ensure all animals are well cared for. Top farmers also know that prevention is better than cure. It’s about planning ahead, keeping good records, and involving professionals as part of their support staff. At DairyNZ, we invest the dairy levy to ensure our sector has all the skills and support services necessary for farmers to care for their animals, alongside veterinarians and other rural professionals. Levy funds have been used to support programmes such as SmartSAMM, Healthy Hoof, InCalf, FeedRight, StockSense, and the training of certified body condition score assessors. These are making a difference in the sector. 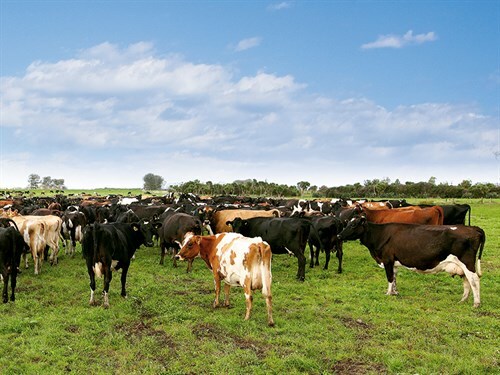 DairyNZ is also making a significant investment in research to improve animal health performance and in animal breeding through New Zealand Animal Evaluation (NZAEL), which ultimately aims to deliver a more robust cow that can thrive in New Zealand conditions. So as you plan for the season ahead, we encourage you to look out for these programmes and take advantage of what your levy has delivered. Doing so will help your team (herd) perform at its best. Animal health matters to the whole dairy sector. It helps keep us competitive, minimise waste, and demonstrate that we care for our cows. One teaspoon of soil contains more living organisms than there are people in the world.